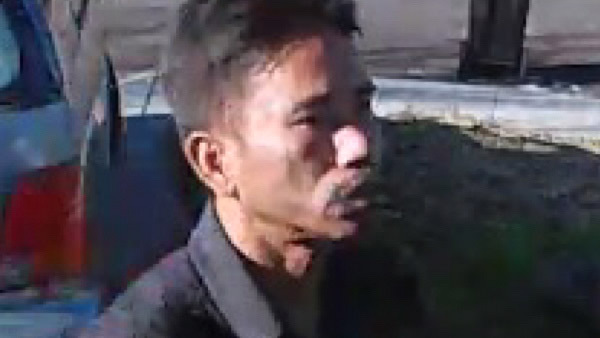 MOUNTAIN VIEW, Calif. -- Investigators are trying to identify a man who was caught on camera last week stealing packages from a home in Mountain View. Around 1:40 p.m. on Dec. 16, a suspect driving a dark-colored four-door sedan walked up to a home in the 200 block of Hamilton Avenue, leaned over and picked up two packages before leaving the scene in his vehicle, according to police. The same suspect was also captured on another home surveillance system a few blocks away later that day, police said. He's described as an Asian man with a moustache, a thin build and medium height. He was last seen wearing a black long-sleeve shirt, blue jeans and white shoes. Anyone with additional information can call Sgt. Tony Vieyra with the Mountain View Police Department at (650) 903-6344. Area residents who want to avoid having their packages stolen can have them delivered at work or have a neighbor pick the package up from the front porch, according to police.